A pronoun is a part of speech that can replace a noun; its antecedent is the person, place, or thing to which the pronoun refers. A vague pronoun reference might include words such as it, that, this, and which, and can leave the reader wondering what or to whom the pronoun refers. Writers who strive for clarity in their work should be certain that each pronoun has a specific antecedent. How can vague pronoun references be clarified? 1. Search the document for the words it, this, which, and that, and circle each occurrence. 2. Draw an arrow to the antecedent for each circled word. 3. If the antecedent is missing, rewrite the sentence to include a clear antecedent for each vague pronoun. 4. An appropriate noun or noun phrase may be added after this or before which. 5. If a sentence begins with it, replace it with a noun or a noun phrase. Vague: The student’s paper showed little revision between drafts. It lowered his grade. Replace it with a noun or noun phrase: The student’s paper showed little revision between drafts, and the lack of effort resulted in a lower grade. Vague: The student’s paper showed little revision between drafts. This lowered his grade. 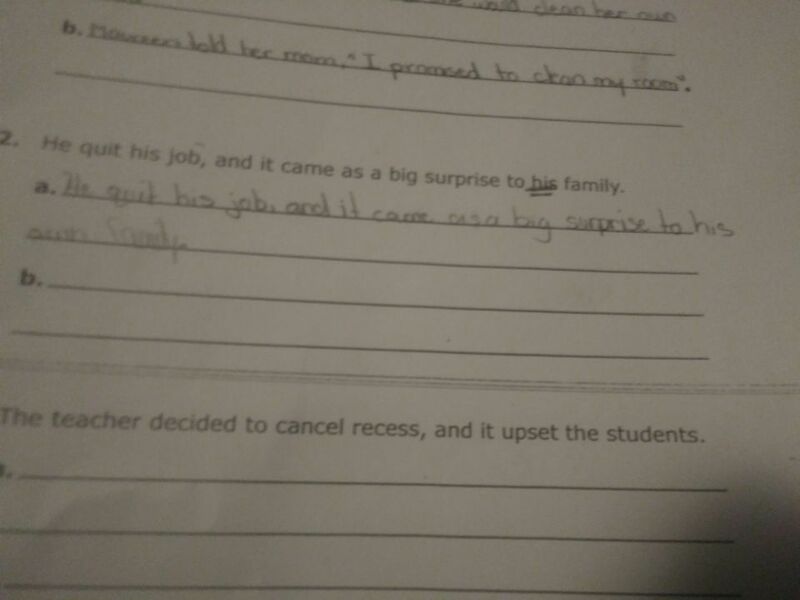 Add a noun after this: The student’s paper showed little revision between drafts, and this problem lowered his grade. Vague: The student’s paper showed little revision between drafts, which lowered his grade. Add a noun before which: The student’s paper showed little revision between drafts, a problem which resulted in a lower grade.